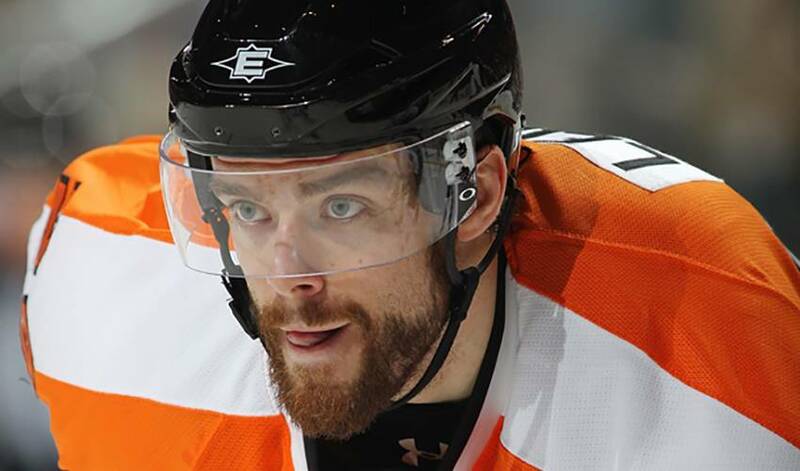 Nothing, not even off-season surgery, could derail the rise of Ville Leino as a genuine NHL talent. Since 2008 and for most of the 2009-10 campaign, Leino, who went undrafted, lived in relative anonymity in NHL circles. The native of Savonlinna, Finland, who signed a one-year contract with the Detroit Red Wings in May of 2008, was traded to the Philadelphia Flyers in exchange for Norwegian defenceman Ole-Kristian Tollefsen and a fifth-round pick in the 2011 NHL Entry Draft, on February 6, 2010. While the deal didn't muster much reaction from the hockey world, Leino's play in the 2009-10 playoffs certainly had everyone talking. But it wasn't that way at the beginning. Leino, who had two goals and two assists in 14 games with the Flyers in the regular season, started the 2010 Stanley Cup Playoffs in the press box. But injuries to Simon Gagné and Jeff Carter called Leino into action. Forming the most potent line in the post-season with Daniel Brière and Scott Hartnell, Leino recorded seven goals and fourteen assists for 21 points in 19 games. It tied the rookie record for most points in the Stanley Cup Playoffs held by recent Hall of Fame inductee Dino Ciccarelli. While the Flyers fell short of their ultimate goal, losing to the Chicago Blackhawks in the Stanley Cup final, Leino stamped himself as a player on the rise, a left winger with plenty of upside. Even so, personal success is of little concern to Leino. Offseason hip surgery kept Leino from his usual summer training regimen, putting him behind schedule ahead of training camp. He didn't need to be reminded of the hard work he faced. “You do think about what's ahead and how you might not be at 100 per cent when you want to be,” said Leino, who, in the first period of his NHL debut on January 31, 2009, scored a goal in a 4-2 loss to the Washington Capitals. “It's not a great feeling because you want to build on the momentum you had. For Leino, the 2007-08 Finnish SM-Liiga Golden Helmet (player of the year), dealing with the mental aspect of the injury was equally as tough as the physical discomfort. It seems the man from Savonlinna, the city has hosted the Mobile Phone Throwing World Championships annually since 2000, is definitely dialed-in these days. Finding his game in Philadelphia, he admits, is extremely satisfying. With a healthy hip and a strong beginning to his 2010-11 season, Leino really has no reason to look back on anything. He does, however, have plenty of reasons to look forward to a promising future.